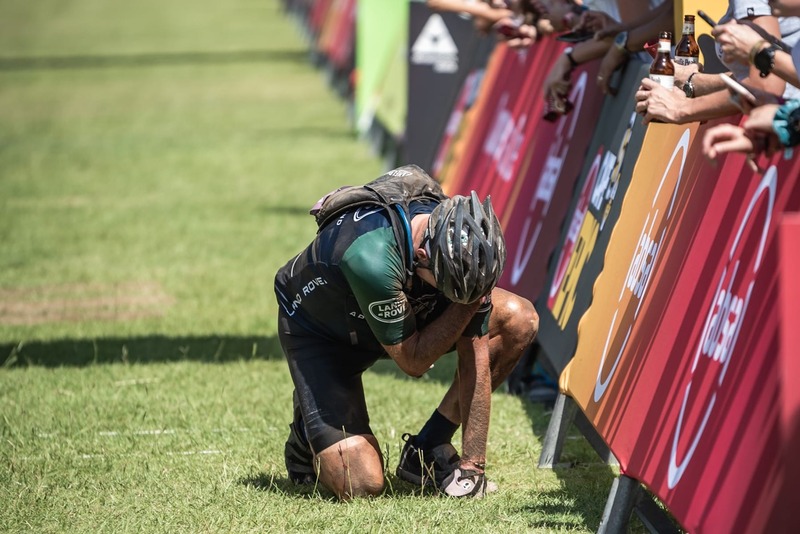 The 2019 Cape Epic onslaught is over. Maybe. 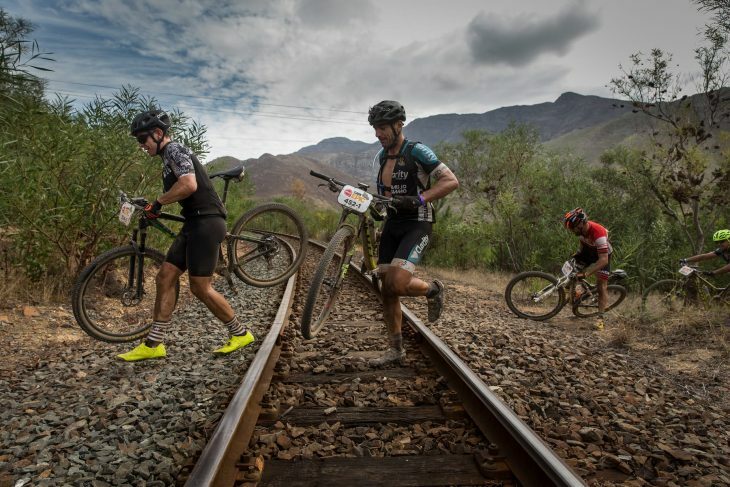 The Cape Epic is known as one of the toughest MTB races in the world. Although not the techiest of riding, the heat and unforgiving terrain make the eight day stage, 16,650m climbing and 630km race a pretty monumental challenge. 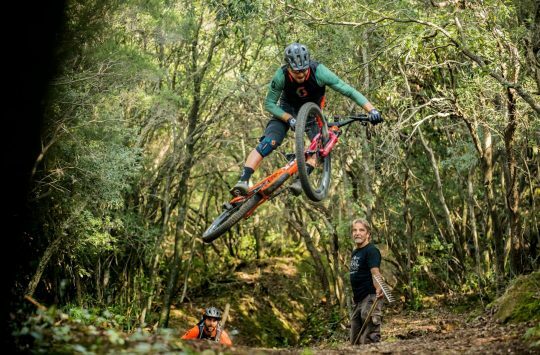 It’s also the only MTB stage race that’s UCI hors catégorie which mean the top pros are out in force to grab all the points they can get their dusty mitts on. This month’s Skinny Dipping took us as far as Stage 5 of this year’s race. Did much change over the last two days of racing? In short, not really, as former winners Nino Schurter and Annika Langvad on Sunday completed their objectives of guiding two Absa Cape Epic newbies to victories in the gruelling eight-day race around the Western Cape. 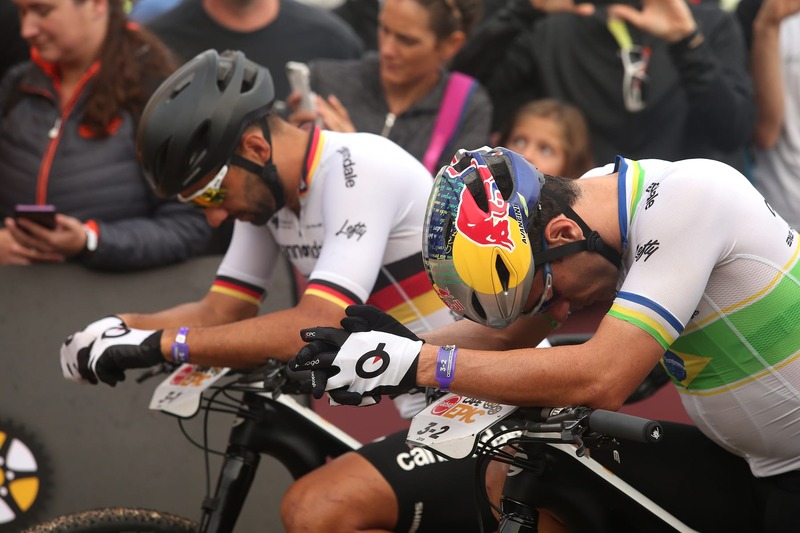 Multiple World Champion Schurter and his Scott-SRAM MTB-Racing partner, European Champion Lars Forster, wrapped up a tense week of racing in which they had to fight back from a day of mechanical dramas to beat Manuel Fumic and Henrique Avancini (Cannondale Factory Racing) by seven-and-a-half minutes overall. 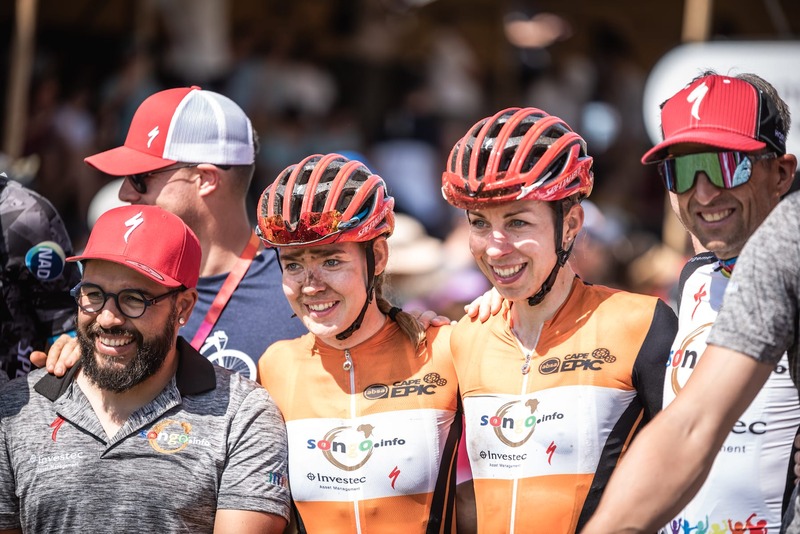 In the women’s race, Langvad shepherded World Road Champion Anna van der Breggen to seven stage victories, including the win on Sunday’s Grand Finale from Stellenbosch University to Val de Vie Estate. Overall the Investec-songo-Specialized pair ended up a massive 30 minutes ahead of South African Candice Lill and her German partner Adelheid Morath (Summit Fin) with Ariane Lüthi and Maja Wloszczowska (Kross-Spur Racing) third, another 30 minutes further behind. The top three finished the Grand Finale in the same order as their GC standings. In the final stage for the Men’s category, South Africans Philip Buys and Matthys Beukes (PYGA Euro Steel) were inched out of their second stage win when, according to a photo finish, Sergio Mantecon Gutierrez beat Buys across the line. The Grand Finale stage win provided some late consolation for Gutierrez and his KROSS-SPUR partner Ondřej Cink after a disappointing event in which mechanicals robbed them of any chance of a high finish. 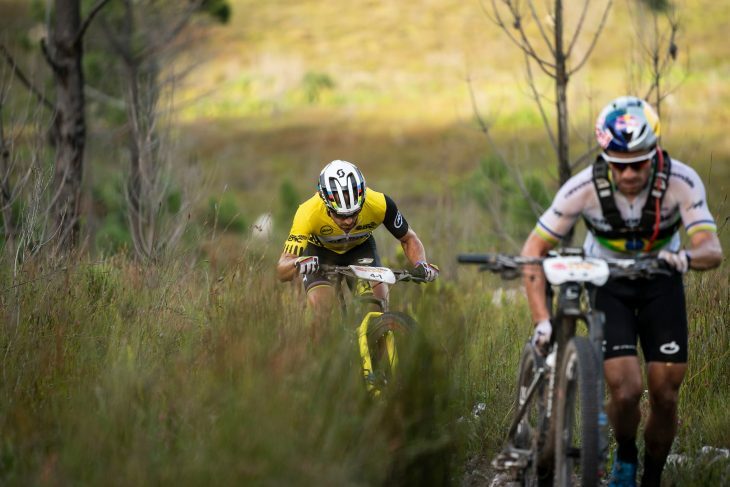 The move by Buys and Beukes to go for the stage win meant they were the first team across the line in the Absa African Men’s Jersey competition, but they were never in contention for the overall title after a consistent eight days from Alan Hatherly and Matt Beers (SpecializedFoundationNAD). Hatherly and Beers ended fifth overall after crossing the line sixth on Sunday. Marco Joubert and Nicol Carstens (Imbuko Giant) ended second overall in the competition for the Red Jersey, just under 40 minutes back. In the race for the Absa African Women’s Jersey, Theresa Ralph and Sarah Hill of team Galileo Risk were comfortable winners after claiming sixth position overall. In the Dimension Data Masters category, Jose Hermida and Joaquim Rodriguez (Merida Factory Racing) wrapped up the victory with their sixth stage win and an impressive 26th position overall. Ondrej Fojtik and José Silva (Mitas Head New Race) were second, over 70 minutes behind. 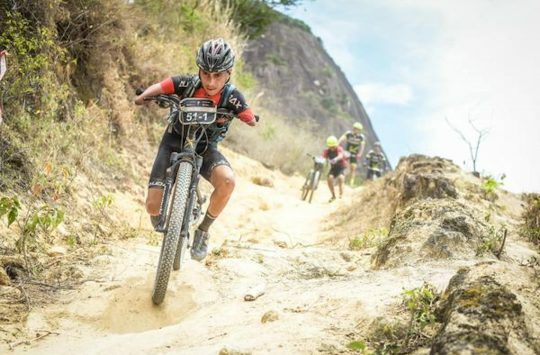 Abraao Azevedo and Bart Brentjens (CST Sandd Bafang) completed their clean-sweep in the Grand Masters category and the eight stage wins meant they beat Barti Bucher and Hans Juerg Gerber (Meerendal) by one hour 40 minutes. 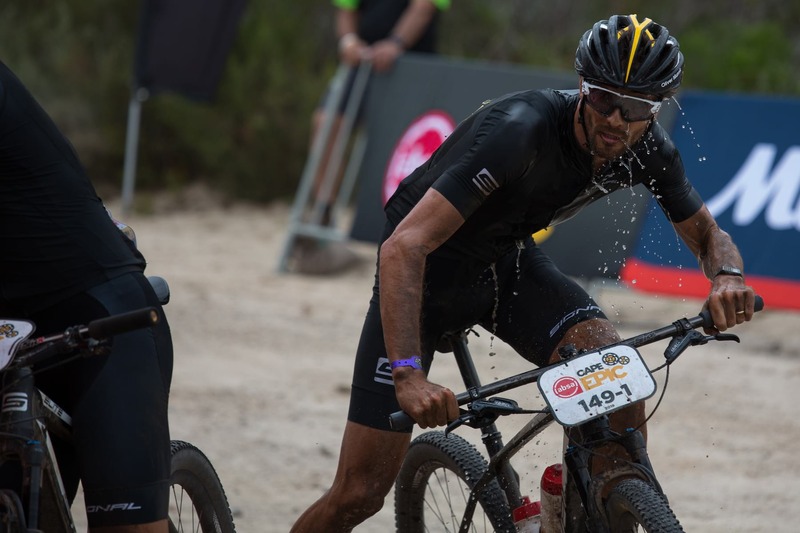 The MMR Mixed team of former Road World Champion Oscar Freire Gomez and Natalia Fischer Egusquiza won the Grand Finale stage in the Virgin Active Mixed category. However, after a dominant performance throughout the week, the Cape Town-based German husband and wife team of Sebastian and Laura Stark (TBR-Werner) were category winners by 36 minutes. Miller Paneling’s David Miller and Shayna Powless were third, another 30 minutes further behind. The Exxaro Jersey race saw the lead change hands numerous times throughout the week, but finally Lucky Mlangeni and Tshepo Tlou (Exxaro/PWC 1) took control over the final few days and their stage win on Sunday confirmed a 40-minute win over Luyanda Thobigunya and Baphelele Mbobo (BMT Fairtree), with Sean Baloyi and Anele Mtalana (Exxaro/RMB 1) third. 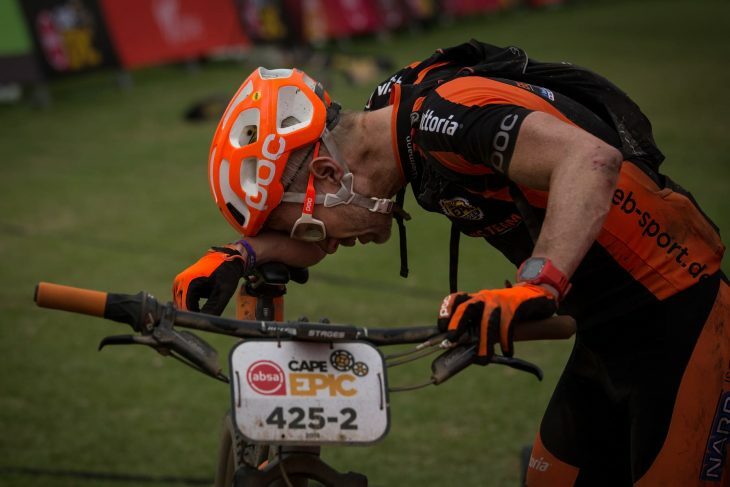 Full results are over on the Cape Epic website. 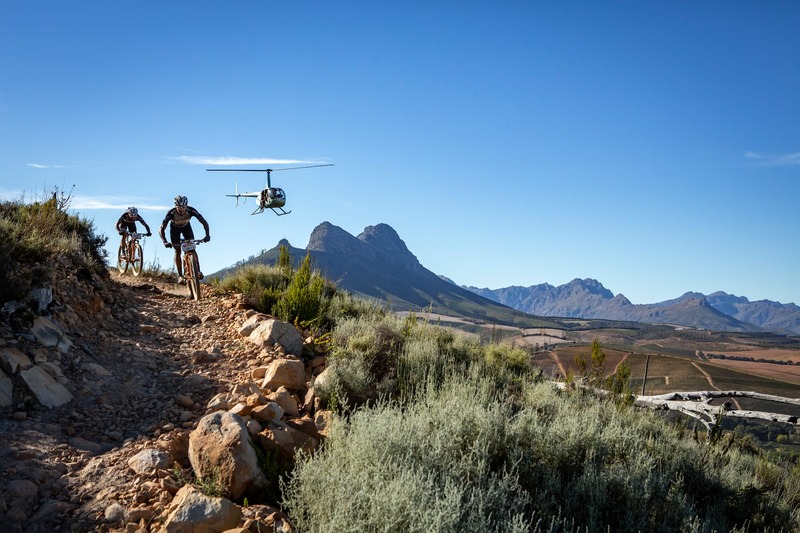 To match the riding onslaught we here at Singletrack Towers have faced our own Cape Epic battle over the last few weeks dealing with the mountain of content the race media team have sent our way. We hope that things might be a little quieter now all the tents have been taken down and the riders have limped away, but as entry has just opened for next year’s event we’re preparing ourselves for another inbox attack. If you fancy a shot, head over to www.cape-epic.com and get your name on the list for March 2020. The Epic is quite literally that – chapeau to anyone who finishes let alone wins..
Loving these XC and Marathon write ups! I’ve really enjoyed the live feeds the race organisers have put up each day, and also some of the “hyena” coverage of the ordinary folk battling misfortunate and time cuts to finish. 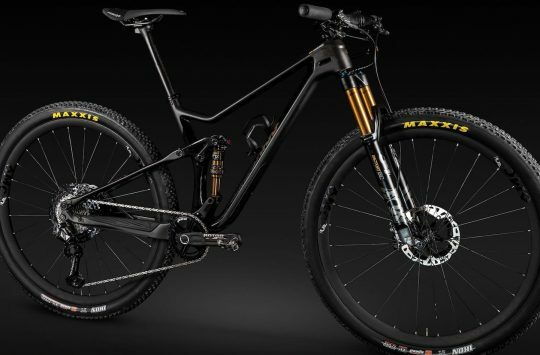 My fiancee and I will be racing the mixed category in 2020. I’m mildly terrified, but in a good way! @sok eek! Thank you for the warning. We’re doing the Swiss Epic in August as a dry run. Hopefully that goes smoothly otherwise I’ll be asking for advice on the forum!